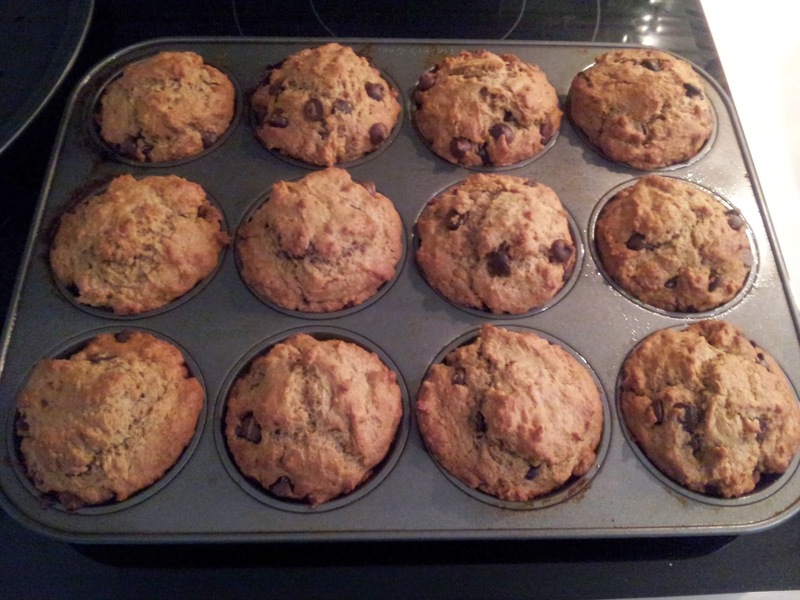 Peanut butter and dairy milk add protein to these whole wheat muffins to make them more filling. Cinnamon can also be replaced with 1 tsp pure vanilla extract for a slightly different flavour. I have tried this recipe with both Kraft smooth peanut butter and natural peanut butter and both came out great! I preferred the natural peanut butter because the peanut flavour was more intense! Preheat oven to 375 degrees F. Line muffin tin with liners or grease pan. Combine flour, baking soda, baking powder, and cinnamon in a mixing bowl. In a second bowl, add oil, followed by brown sugar and mix evenly. Add peanut butter and eggs and mix. Transfer dry ingredients to wet, and add milk. Mix together, being careful not to over mix batter. Fold chocolate chips into the batter. Spoon even amounts of batter into each muffin liner and place in oven for 18-20 minutes. Insert a toothpick, if toothpick comes out clean, muffins are done.